Clayton is a suburb in Melbourne, Victoria, Australia, 19 km south-east of Melbourne’s central business district. Its local government area is the City of Monash. The main focus for the suburb of Clayton is the shopping strip that runs along Clayton Road. The local railway station, situated at the northern end of the shopping strip bears the name Clayton railway station. The area was first occupied for farming in the 1850s and was originally named after a property, “Clayton Vale”, owned by lawyer John Hughes Clayton in the 1860s. A township was originally gazetted on Dandenong Road and in 1862 a primary school was opened at the corner of Dandenong Road and Clayton Road, to serve the whole of the Clayton district. This school changed its name to Clayton North Primary School in 1954. The construction of the railway to Dandenong and Gippsland about 1 km south of Dandenong Road in 1878 prompted the start of a second township where the line crossed Clayton Road. Clayton’s rural lands and relative proximity to Melbourne attracted two institutions at the turn of the century: the Talbot Colony for Epileptics on land later occupied by Monash University, and a Women’s Convalescent Home. Apart from that, in 1900 the community consisted of farms, three hotels, two churches, a tennis court and a few shops. Market gardens, fruit growing and a municipal abattoir were the leading industries. Clayton is one of the largest centres of science, technology and research in Australia. It is located in Melbourne’s south-eastern suburbs, which contains the highest density of high technology industries in Victoria. Notting Hill is a suburb in Melbourne, Victoria, Australia, 19 km south-east of Melbourne’s central business district. Its local government area is the City of Monash. The Notting Hill Hotel remains a prominent landmark, being established in 1891; it is frequented by nearby university students and locals of Notting Hill. The owner, Kath Byer, ran the establishment until her death on 15 November 2010 and did so since 1936 when she bought the business with her husband Sidney (Lofty) Byer. Much of Notting Hill is occupied by industrial premises, a large drive-in hardware superstore and the Monash Business Park. The heart of the suburb is the residential estate. The community here has been renewed in recent years by the arrival of many young families and students. Residents have been brought together as a community by their collective opposition to the closure of all of the educational facilities in and around the estate: the Rusden campus in 2002, followed by the kindergarten in 2004, and then both state schools in 2005 and 2006. Residents formed the Notting Hill Community Association to fight the closures of these institutions and the ugly developments proposed to replace them. They have won several battles, but the struggle continues. Monash City Council has responded to the Association’s concerns for loss of local facilities by refurbishing the kindergarten site for use by the community. The Natural Confectionery Company, which has been making lollies and sweets for over 60 years, is based in Notting Hill. Musashi Foods also has its headquarters in the area. Tomax Logistics, an international freight and customs business which has been in operation since 1987, has its global headquarters in Notting Hill. Optiscan Imaging is based in Notting Hill. It focuses on research and development of optical products for medical use. Glen Waverley is a suburb in Melbourne, Victoria, Australia, 21 km south-east of Melbourne’s central business district in the local government area of the City of Monash. Glen Waverley had the seventh highest number of one million dollar-plus house sales in Melbourne in 2013. Properties in Glen Waverley and surrounding areas continued to show price gains in 2014 and 2015, largely due to interest from Chinese property buyers. Glen Waverley sales top Melbourne real estate market in 2015 outshining the likes of Brighton and Toorak to be the nation’s second-largest property market by value of sales. The suburb of Glen Waverley is generally bounded by Dandenong Creek to the east, Ferntree Gully Road to the south, Blackburn Road to the west and Highbury Road to the north. Springvale Road, a major north-south distributor, divides the suburb. The geography varies from river flats adjacent to the Dandenong Creek in the east to hilly in the region between the Dandenong Creek and Scotchmans Creek catchments. Glen Waverley has also developed to become somewhat of a business hub in metropolitan Melbourne, with many international companies including Toshiba, Ansell, and NEC all having their Australian headquarters in the suburb. Glen Waverley has a major recreational and aquatic centre located on Waverley Rd, the Monash Aquatic and Recreation Centre (MARC). It has a range of different swimming pools to cater for everyone’s needs with two kid pools, a 40-metre wave pool, a Learn-to-swim pool, an indoor 25 metre pool, an outdoor 50 metre pool and a hydrotherapy pool. The suburb gives its name to the Glen Waverley railway line, which terminates at Glen Waverley station. Chadstone is a suburb in Melbourne, Victoria, Australia. Its local government area is the City of Monash. 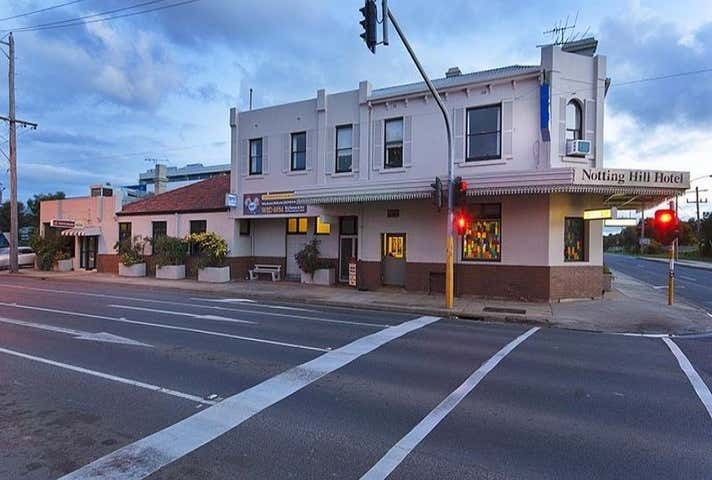 Landmarks include the Waverley Basketball Centre, Jordanville Community Centre and the Matthew Flinders Hotel. Scotchmans Creek runs along Chadstone’s southern boundary, the Glen Waverley railway line along the northern boundary, Warrigal Road to the west and Huntingdale Road to the east. The Monash Freeway runs through the suburb. Many of the houses in the Chadstone area were built in the postwar period using prefabricated concrete produced at the current site of the Holmesglen TAFE. The houses tend to be quite small, with two to three bedrooms and large blocks. It is relatively common for houses to be demolished and larger houses built to take advantage of the block size. Chadstone is a small suburb, with parts previously known as Chadstone being rezoned to be incorporated into Malvern East. Several landmarks such as Chadstone Shopping Centre and the Chadstone campus of Holmesglen Institute of TAFE have retained their original names despite now being technically located in Malvern East. The current Chadstone locality incorporates an area formerly known as Jordanville (even though Jordanville Station is technically in Mount Waverley). There are two schools in Chadstone, both of which are Roman Catholic Independent schools. They are Salesian College and St Mary Magdalen’s Primary School.